Change is never easy. But in a time of fiscal restraint and organizational reform, change is unavoidable. Budgets are being cut, departments are merging and individual teams are being asked to do more with less. The private sector has no shortage of methodologies for driving organizational change and improving fiscal performance. But trying to cut and paste private sector solutions into a public sector context can be a futile exercise involving square pegs and round holes. BP&M’s veteran Lean business and IM/IT consultants are no strangers to navigating the choppy waters of public sector change management. Through its government-focused Lean methodology, BP&M helps topple silos and drive positive change for government departments wrestling with their program, corporate services, information management (IM) and IT processes. 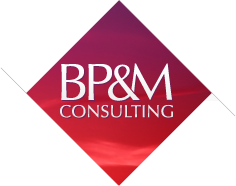 BP&M does this by engaging and empowering the one group of stakeholders essential to the success of any change initiative – employees. “No change initiative can succeed with a top-down approach dictated by senior management, nor can employees feel empowered to take ownership of change if they don’t feel they have full support from above,” said Barbosa. BP&M recently assisted with the consolidation of the Department of Foreign Affairs and International Trade, and the Canadian International Development Agency, to create a new federal agency – the Department of Foreign Affairs, Trade and Development (DFATD). The two organizations had differing systems and approaches for record keeping and IM that had to be integrated and compliant with the Treasury Board Secretariat Directive on Record Keeping by March 2015. BP&M engaged key stakeholders from both organizations to work together, through methods that included a three-day Lean Kaizen workshop. This identified waste and redundancy in current processes for record keeping and IM, led to new ways to streamline and consolidate, and created a capacity for continuous improvement. “That last point is crucial”, said Barbosa. At the Library of Parliament, senior management felt there were too many projects on the go, successful delivery of project completion was low, and there was little communication between teams. BP&M worked with the Library’s management team to develop an integrated planning framework. “With Lean, we now have an end-to-end integrated process framework from planning through to the delivery of strategic initiatives,” said Lynn Potter, Director-General, Corporate Services, at the Library. BP&M trained the Library’s staff on streamlined project management concepts, and how to report against established checkpoints to provide management with the information necessary to make informed decisions. The result was enhanced decision-making, greater transparency on how to prioritize projects, and improved communications to clarify roles and responsibilities. “BP&M showed us how to build capacity internally, which allowed us to continue after they left – such a big bonus!” said Trudy Albert, Senior Advisor, Corporate Services, at the Library.